ADEEB (Writer) PRESS is a publisher of E-Books (Web-Books) based in Fairfax, Virginia, USA, since 2000. 1. Proofreads, edits and indexes the text (manuscript) of e-books. 2. Creates title/cover page of e-books. 3. Designs information (text, images, photos, charts, colors) of e-books. 4. Registers a Domain-Name for an e-book’s website. 5. Designs, hosts and updates a website of an e-book. 6. Publishes the e-book in its special website. 7. 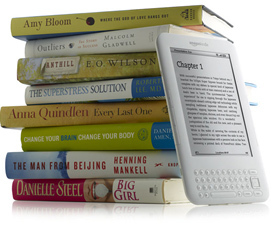 Sets up a reader name, password and payment system for buying, reading and printing the e-book. 8. Markets, advertises and sells the e-books through the press-media, social-media, e-mail, forums and other channels of communication. 9. E-Book Languages: English or Urdu.